Freddie Piccinni, right, holds Annie and Ozzie, Australian Labradoodles while he looks at a map with Barbara Bartley, left, and Susan Piccole, both from Middleton. 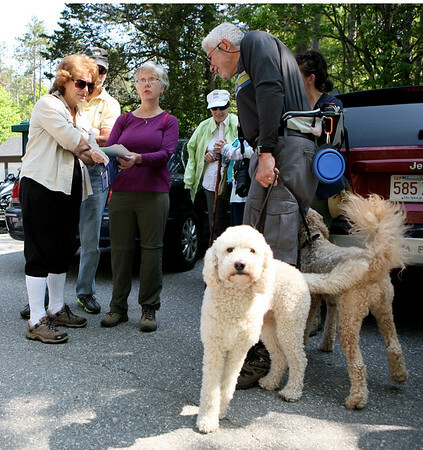 "They love hiking and they know Wednesday is here," Piccinni said about his dogs as they waited for the hike to begin. "We haven't missed a week, rain, sun or snow," he added.